Chaga comes in many forms. Initially, they appear in chunks, often called conks. The conks protrude from from birch trees. These charcoal colored conks don’t look very appetizing, but the variety of preparations can put this beneficial mushroom to work in several delicious ways. Should you come across some Chaga of your own in a birch forest, Chaga101 points out that a small chunk of it can be very nice to chew. After Chaga is harvested, it is usually dried and the chunks become to hard to chew or ingest. Hard Chaga chunks can be ground into powder. Blend the powder into smoothies or mix into foods for raw consumption. It can add subtle taste and texture, without any additional work or preparation. There are several camps of ideas when it comes to bioavailability of Chaga. Bioavailable means how healthy components are taken in or not taken it by the body. 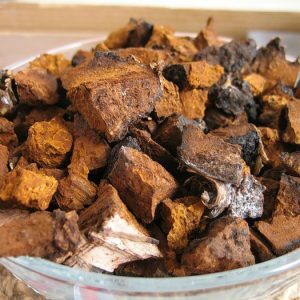 Chaga is full of nutrients. The question is how to get those nutrients from the mushroom into your body. 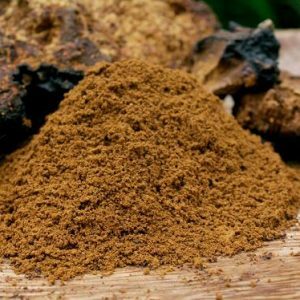 Some feel that because the ancient users of Chaga used it raw and experienced the benefits, using Chaga raw today will have the same beneficial impact. Others observe that because the components are locked up in cells that have thick walls called chitin, Chaga needs to be steeped in very warm water to make antioxidants, polysaccharides, and other components available to the body. Betulnic acid is a significantly helpful component of Chaga. It is component in birch trees and concentrates in Chaga as it grows from within the tree. These extremely high levels of betulinic acid have multiple benefits for the body, but many believe that they are only made bioavailable through further breaking down cell walls by making a tincture or extract. However, the process of making this tincture, may damage some of the other beneficial components of Chaga. There are few studies about how Chaga works and the best way to consume it. 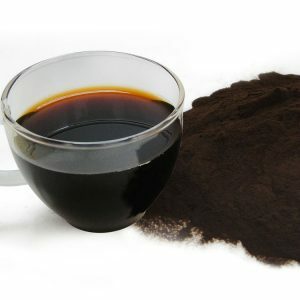 It is hard to know who is accurate about which form of Chaga offers the most benefits. It is important to know, there is no wrong or harmful way to use Chaga. The best way to ensure that you are experiencing all of the multitude of benefits from Chaga is to use it in multiple forms. Add raw Chaga powder to your smoothie. Brew a tea concentrate from Chaga chunks to keep on hand. Dissolve powerful extract in tea, coffee, or drinks. Taking a versatile approach to Chaga will not only ensure you are absorbing all of the healthy components and nutrients, but it will also add variety to your Chaga routine. People have transformed their health with this powerful mushroom. Include it in your daily health regimen so that you can feel better and ward off numerous health challenges. As you incorporate Chaga in your daily health regimen you will discover the ways you enjoy it most and the methods that help you feel your best. 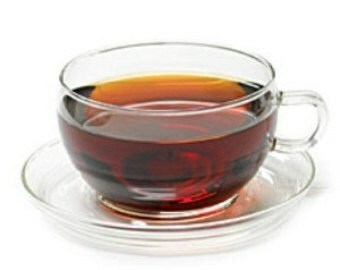 What Makes For Pure Chaga Tea? © 2019 Chaga Natural ®, Inc. All Right Reserved.